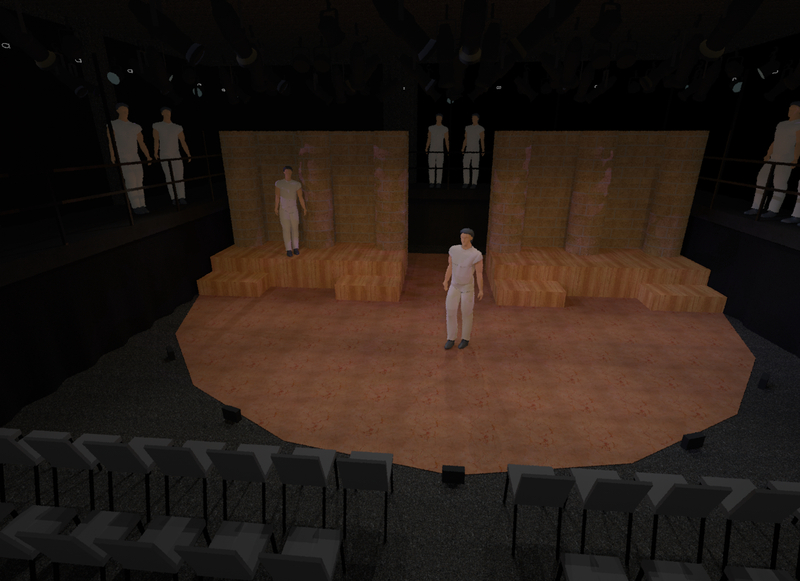 One of the projects for Lighting Design class was to create a light plot for a fictional production of The Bacchae staged in the University of Minnesota’s Experimental Theatre. We were given a set and lighting inventory to work from. I went a step further in this project. 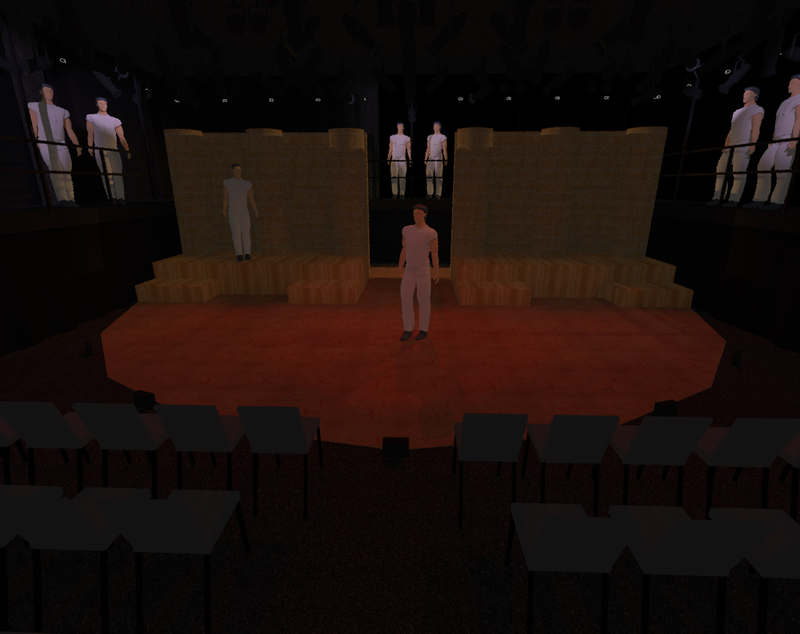 I not only created the light plot, but also drafted the space and set in 3D as well as created visualizations for several of the looks I had been thinking about. 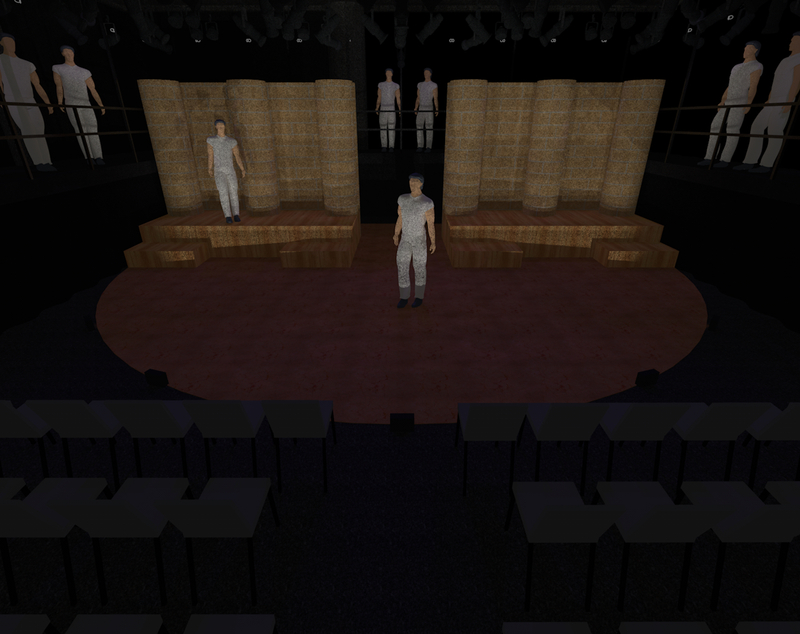 My concept was to distinguish man from god in this play. Man’s worlds were warms both outside in the city as well as in the throne room. The gods world added or replaced with etherial cools. 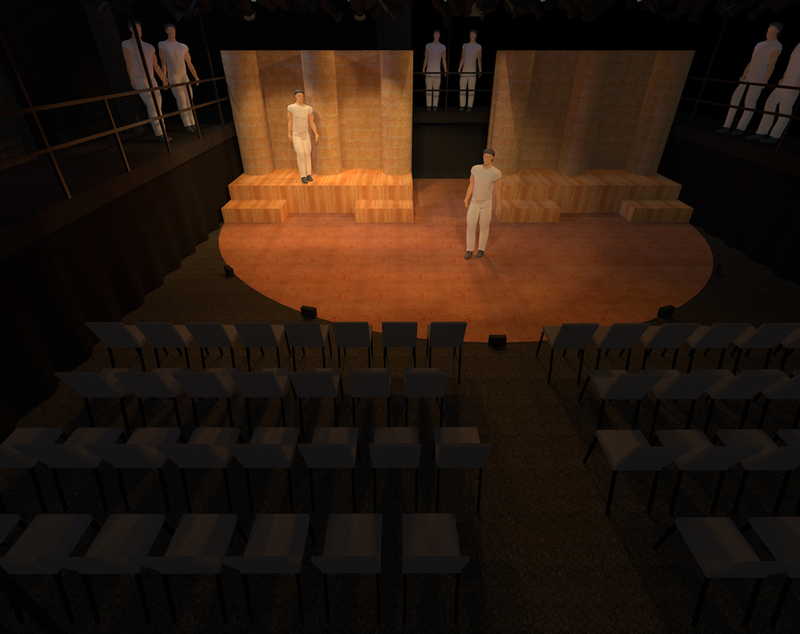 Narrations were punctuated with footlights or saturated colors to set them out from the rest of the play. 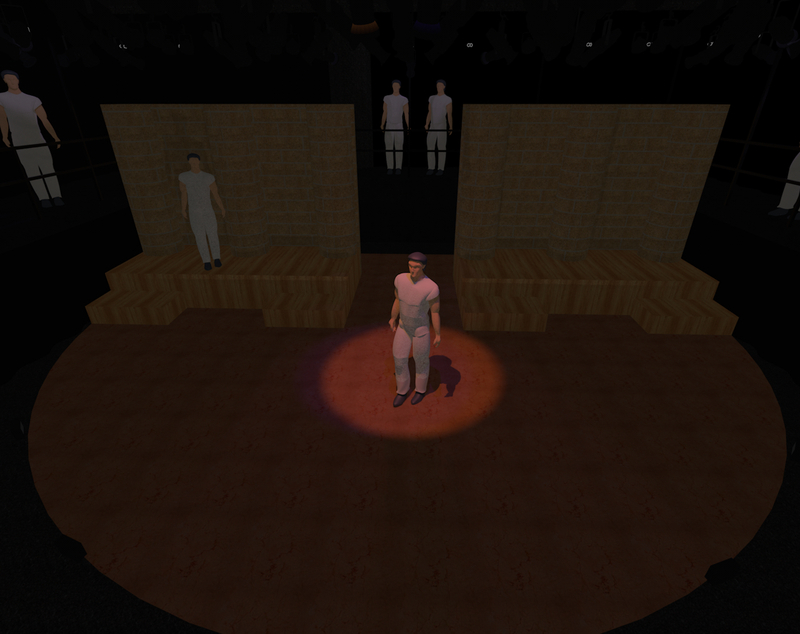 There was also a Chorus that I decided to place around the perimeter of the set on the mezzanine. The chorus had specials focused on them so they could pop out or fade into the background. University of Minnesota, Unrealized Design. Bookmark.